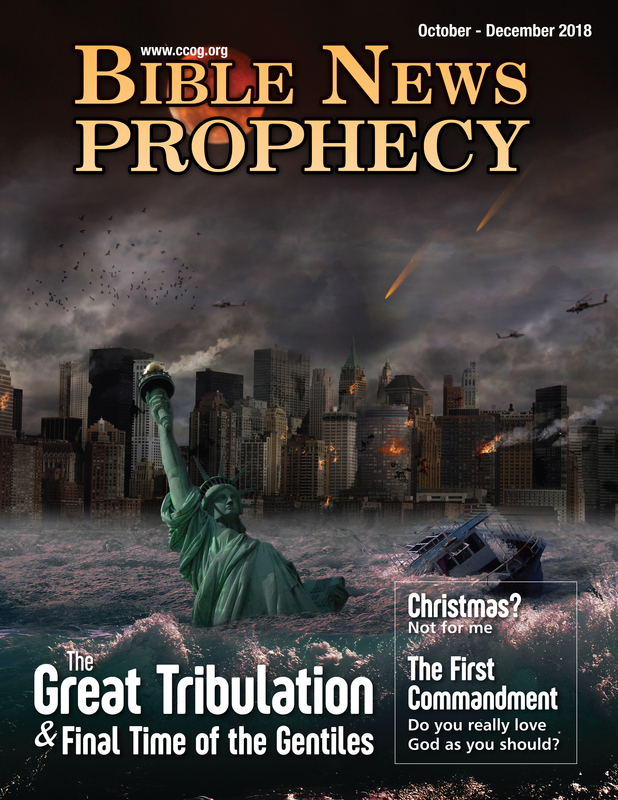 Here is a link to the October-December 2018 edition of Bible News Prophecy magazine. From the Editor: Christmas? Not for me. The First Commandment Do you really love God as you should? Study the Bible Course Lesson 14b: What are Humans? What does God say about humans? What Gospel did Jesus Preach? Did Jesus just come to preach about Himself or was there another message that many miss? The Great Tribulation and Final Time of the Gentiles The Great Tribulation is coming, so do not be complacent and think it cannot affect you.